I’ve seen a good deal of “Stonewall Jackson praising” going on lately, and while I can appreciate his part in the history of the Valley for that time, that’s not quite all of the story. In short, not everyone was cheering the arrival (and in some cases, the return) of Confederate troops in the Valley, and… the 1862 Valley Campaign wasn’t just about Jackson and his victories here… with the entire citizenry all in favor. Indeed, some embraced the arrival of Union troops… some with open arms, and others… while Southern Unionists… with a bit of uncertainty. As for one who was among the most enthusiastic… I present… again… Dr. James Lee Gillespie. I’ve mentioned him before, and the 150 year Sesqui moment slipped through my fingers a few weeks ago, and I wasn’t able to post about it in time, but… there was one local Unionist… from my home county, no less… who also accompanied my third great grandfather in the months before Virginia’s secession, speaking out against it. Jones sent me to break up a band, estimated at from two to five hundred, that had collected in the large gorges of the Blue Ridge, in the neighborhood of Swift Run Gap. They were headed by a man named Gillespie, and they had determined to resist the draft, and were armed principally with shot-guns and squirrel rifles. We had with us a company of militia infantry, but they were afraid to go into the mountains at all. We had skirmishing for two or three days without doing any damage; for, when we attempted to charge, they took to the sides of the mountains, and the ground was too rugged to pursue them, and they could fire on us without being able to return to it. Yet, there is good reason to doubt that the man Gilmor sought out, and Hotchkiss observed, was actually Dr. Gillespie. Minute books of the Court of Page County show that Gillespie was in the Page County jail as of June 26, 1861 under the charge of “treason against the government of the Confederate States.” Gillespie applied to the court for his release from jail but was denied this request as the county as a legal body could not sufficiently establish jurisdiction in the case. Following this denial, Gillespie applied once again to the court, asking for an examination of the charges against him in legal forum, but again the court denied the appeal based once again on “want of jurisdiction.” Minute books reveal no further information in this case, but Gillespie’s obituary shows that at some point he was taken to Orange Court House, from whence he escaped. Crossing the lines, Gillespie was able to secure an audience with Union Gen. Henry W. Slocum, who, in turn, gave Gillespie a letter of introduction to President Abraham Lincoln. 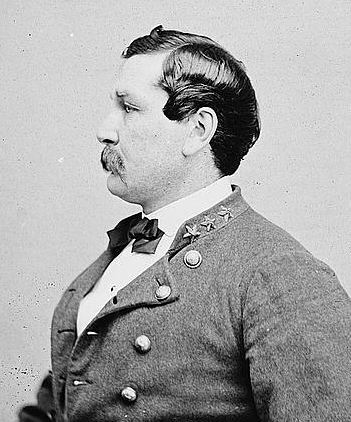 Lincoln “recommended General Nathaniel Banks take him [Gillespie] and protect his home in the Valley of Virginia. Indeed, for the point on the timeline (April 1862), Gillespie himself seems to show that he was working as a guide for Union General Nathaniel Banks, and therefore, could not have been present at the incident in Swift Run Gap. So… did some sort of “Gillespie legend” grow from his story from the summer of 1861, and infuse itself into what became known as the Rockingham Rebellion? It’s quite possible, and it’s too bad in some ways, as we may never know the name(s) of the man/men who led that short-lived rebellion of locals against… the rebellion. 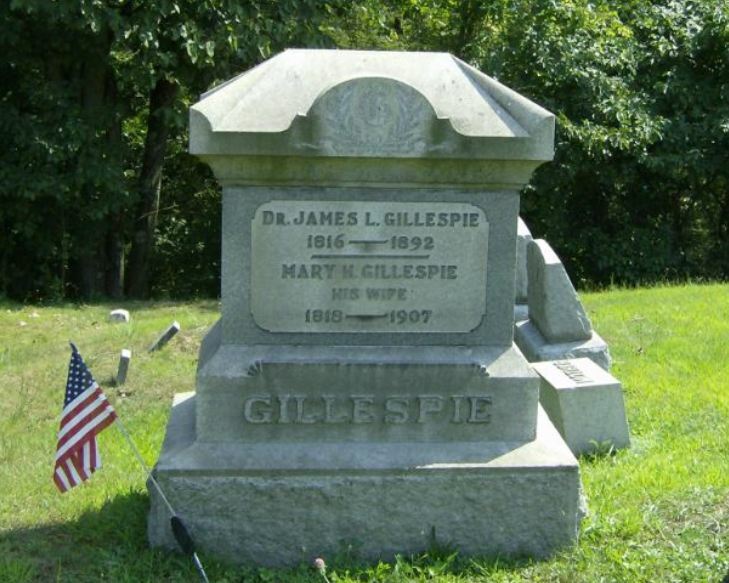 A few years ago, I continued MY search for Dr. Gillespie… and found his grave in Sistersville, West Virginia. Of course, there were other locals of the Valley who had issues with the Confederacy as well, such as Elder John Kline, who I covered in this briographical sketch from 2008. In an upcoming post, I’ll be writing about Dr. Gillespie’s son… who, as a former student of Jackson’s at VMI, and at about this same time (Spring of ’62), was making every effort to become part of Stonewall’s staff, which opens the door wide to how many a father and son in the Valley didn’t necessarily see eye to eye when it came to embracing the Confederacy. I am glad you posted this interesting information. I had seen the various materials, but didn’t know exactly how they all fit together, plus everything can’t possibly be included in a project. The Richmond Daily Dispatch of Mar. 21, Apr. 19 describe events relating to the Dunkards or Tunkers, as I had found in searching for “Rockingham.” These articles state that the men involved were taken to the prison in Richmond, not Harrisonburg. Some were later released to Col. Baldwin’s regiment – that being the 52nd VA Infantry of Augusta and Rockingham. His bio in the Encyclopedia Va show that he held out in favor of the Union longer than most. Waddell’s diary of March 19, gives more details. He states that the arrests were made in Pendleton or Hardy county. This would be consistent with reports that the group was headed toward Ohio. The Valley Brethren- Mennonite Heritage Center had an event last week relating to these stories. They state in the information I received that prisoners were housed in the Rockingham County courthouse. I recently saw other information relating to Valley religious groups and resistance to the war. It may have been at the main Shenandoah County Library. There may be valuable church records that would shed light on these events. The College may have collections relating to this also.